The new racism is really the denial of racism. 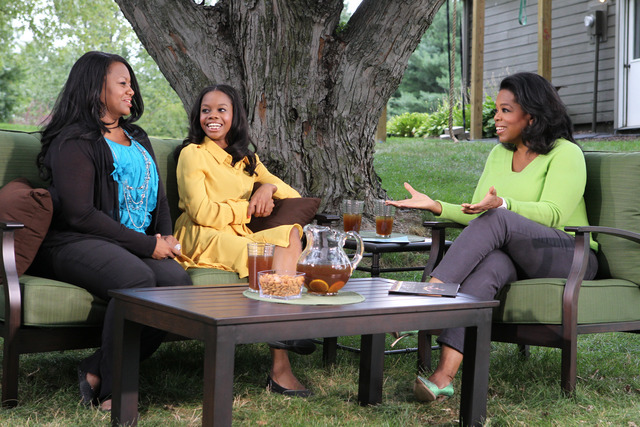 Gabby Douglas sat down to talk to Oprah about her experiences when it came to training to become an Olympic athlete. During the conversation the issue of race happen to come up. Evidently the fact that something racist happened to a little black girl that is competing in a sport where she is the clear minority seems to be really shocking to people. So shocking did her former gym find the claims that they felt the need to come out and refute her claims. The Olympic gold medalist is under fire after she said in an interview with Oprah Winfrey that she was the victim of racism at the gym where she trained in Virginia Beach. She told Winfrey about one incident in which a teammate at Excaliber Gymnastics told her to do something because she was their slave. Her former coach and others associated with Excaliber blasted the claim. “Really, I was shocked and very hurt,” former coach Dena Walker told NewsChannel 3 in Hampton Roads. Gustavo Moure, CEO of Excalibur, went even further, suggesting that Douglas was lying. Former teammates also blasted her. “This is absolutely ridiculous,” Randy Stageburg, a former National Team member, told GymNewstics.com. “Gabby was never a victim, in fact many would say she was one of the favorites. I am not saying that she never felt bullied because when you are in a sport with a bunch of girls it is bound to happen. However, anything that she may have felt was never about race and I can assure you everyone at some point has felt bullied. “I watched Dena open her home to Gabby, feeding her, taking her to gym, and allowing her to stay over her house whenever Gabby wanted to,” he said. See this is the problem I have with this entire thing. Never once did Gabby say that the gym was racist. She was speaking on her experience with a teammate (one in which she did not name). But of course with just the utterance of the word racism, the usual suspects decide to circle the wagon and feign dissappointment in a 16 year old child being truthful about her experience. I swear the worse form of racism is the denial of racism. It's always the group that has never had to feel the sting of racism that feels the need to tell other people about their experience with racism. The response from the gym is the typical response that comes up when a person speaks on an act of racism that happened to them. They immediately jumped ttouting all the African Americans that have been trained in the gym instead of just saying how heartbreaking it is that a young child would have to experience such a thing. That's the problem with a lot of white people in this country. They really believe that people speak out about racism because they want some damn attention. Don't nobody want attention that damn bad!! It's interesting that they did not lash out when OWN reached out to them. They stated that they were not aware of how she felt and that they were proud of her accomplishments. Why wasn't that statement sufficient? It certainly was a lot more dignified than these subsequent statements. I guess other people wanted to poke further and stir up more drama.